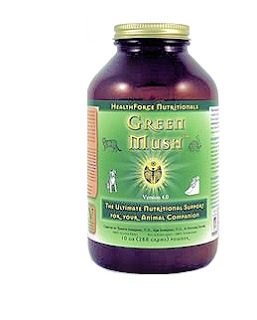 One of the more recent scares for our precious ratties, has been in regards to HealthForce Nutritionals’ Green Mush. For those of you who are not familiar with Green Mush, it is is a pesticide free, whole food, green plant based combination used as a high quality, powerful antioxidant and nutritionally beneficial supplement created for pet rats that can also be offered to our other pets such as dogs, cats, rabbits, rats, guinea pigs, hamsters, mice, ferrets, squirrels, other mammals and humans too! Its said to help with accelerated healing (great for hind leg paralysis), greater energy, increased lifespan and a strong immune system support. I first stumbled upon this topic while browsing several rat forums online, when I came across a forum topic labeled ” Warning Green Mush Users!” Since I have been feeding my group of rats Green Mush since day one of owning them, I had to look into it further. The post was regarding a blog topic from The Rat Room ( see blog post HERE). I even had a reader post a comment to my blog on my Green Mush purchasing page. Not wanting to believe the first thing I hear, I decided to look into it. 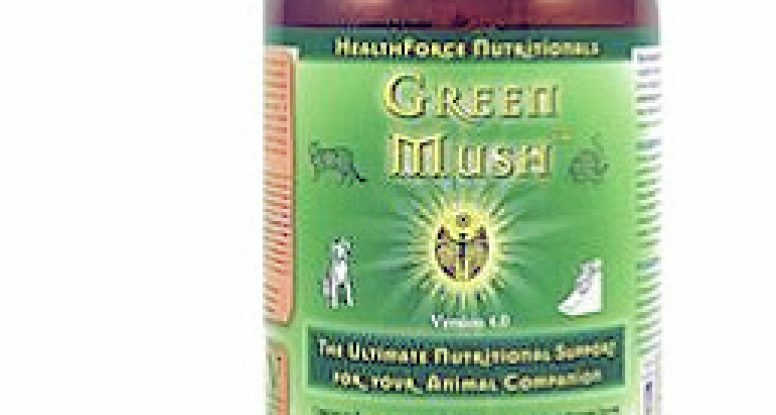 So since mid June, I have been researching online and contacting Healthforce Nutritionals for more information, while my bottle of Green Mush sat idle in my cupboard. While I had not had a single issue with my rats, I was not going to take any chances until I knew for sure what was going on! The more I dug into it, the controversial topic that raised such as stir in the rat community was spirulina…the ‘spirulina scare’ as I call it, and its possibilities of neutrotoxins, muscle breakdown, and liver cancer. The information provided in the blog topic came from NutritionFacts.org, a nonprofit charitable organization brought to you by the Jesse & Julie Rasch Foundation in partnership with Michael Greger, M.D who serves as Director of Public Health and Animal Agriculture at the Humane Society of the United States. The more I searched online, the more I found that the sources of information regarding this stand against spirulina, all traced back to this same NutritionFacts.org source! I take all these “studies show…” reports with a grain of salt especially when there is no links to the research. So naturally, it was time to contact the actual company, Healthforce Nutritionals, for more info. I got into contact with Irma, with inside sales. From what I gathered, there are only three major lakes in the world known to product spirulina naturally- Lake Chenghai in China, Lake Chad in Africa, and Lake Texcoco in Mexico. Lake Texcoco is heavily polluted, and Lake Chad is slowly drying up because of global climate change. So now there are two strains being grown in algae farms around the world- Arthrospira platensis (indigenous to Lake Chenhai and Lake Chad) and Arthrospira mazima (indigenous to Lake Texcoco). 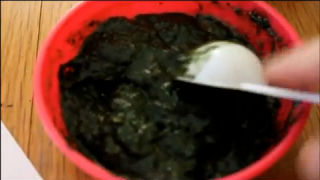 The strains of spirulina used in Healthforce Nutritionals’ other products are the Lake Chad strain (Africa) and Lake Texcoco (Mexico) but are being cultivated here in the US. Both have similar nutritional profiles but each being higher in some nutrients that the other. Healthforce Nutritionals goes through great lengths to offer clean and safe products. They use dark amber glass jars to protect their products from the nutrient degrading effects of light.There is an oxygen absorber in the bottle. They apply a two stage magnetic process in the final stages of every product that effectively destroys any living microorganism such as fungi, molds, and bacterias. More on their process can be found here. They are Truganic certified which means they have stricter standards with mandatory actual testing of their products which must pass testing to verify that they are 100% pesticide-free, insecticide-free, and herbicide-free; 100% GMO- free; and 100% irradiation free…all defined as ZERO detectable during testing. They also must be nutrient dence as a way to check up on the use on non-organic fertilizers. So what is my conclusion on this subject? Until I have more evidence on why I should not use this particular company’s products, I will continue to remain a loyal consumer and strong believer in the health benefits of Green Mush for my rats. I have faith in Healthforce Nutritionals’ safe and uncompromisable cultivating and harvesting practices of spirulina for their Green Mush and will continue to provide this wonderful supplement to my rats. My advice is to follow the dosage directions on the package and be sure to store your bottle in a cool, dry place.